With a heightened level of awareness as you deepen your focusing practice, you can cultivate an inner relationship that will help you with every aspect of your life. Your relationship with your children? With your teachers and mentors? By knowing and coming into relationship with the wisdom that you possess in your body through focusing, you can begin to heal and feel better about the direction you move in. 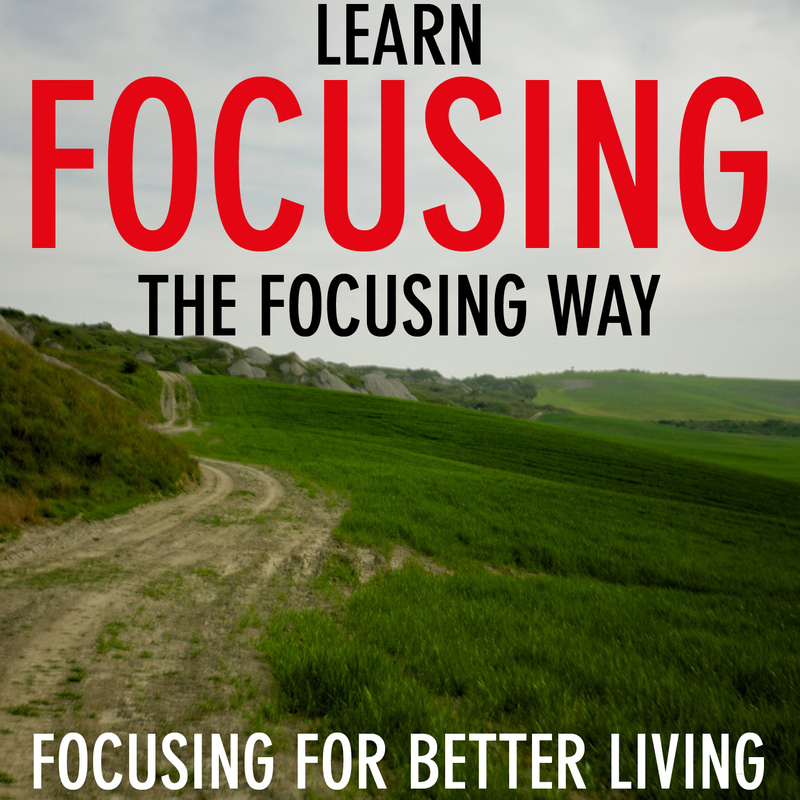 Focusing happens at your pace and you, as the focuser, are always in charge. With a depth of understanding you feel like you can do and accomplish anything in your life. You understand that you are the artist of your own life, the artist of your existence. With deep understanding your decisions become preferences, rather than choices. You live in a “focusing way” carrying the power of your own presence into every moment, every step and every interaction. You feel your humanity, you are in touch with your body and how it moves through the world. You feel the air, smell the smells and you are concerned with the moment. With the awareness of the moment, you can be open to that which presents itself. You can become much more aware of your own thoughts, and understand how they guide your preferences. You can carry the knowledge that the answer is only as far away as sensing into the moment you are in, putting you in the position of great empathy for yourself and the people around you. I help people in conflict who might struggle with moving toward resolution to find ways to find common ground so that they feel they are moving forward in a healthy way. I help kids who’s parents have divorced who might struggle with the feeling of not being heard to find ways to better understand what they are sensing so that they can understand their feelings better.